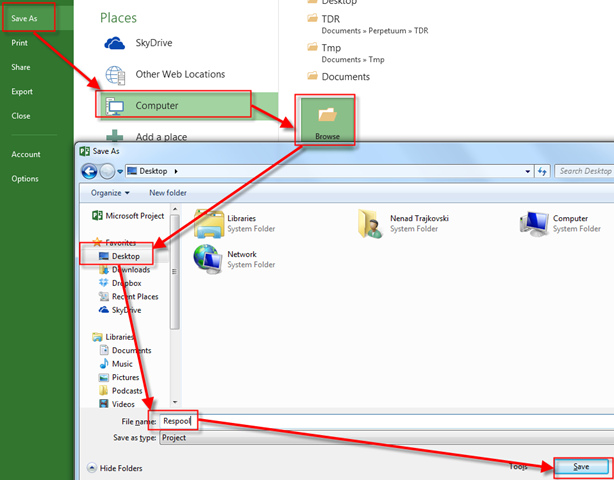 How to avoid duplicated Resources in Project with Subprojects in MS PROJECT 2013? one of my Blog readers had a problem! He made a Project with Resource, and Subprojects with same resources, and then those Resources were duplicated. 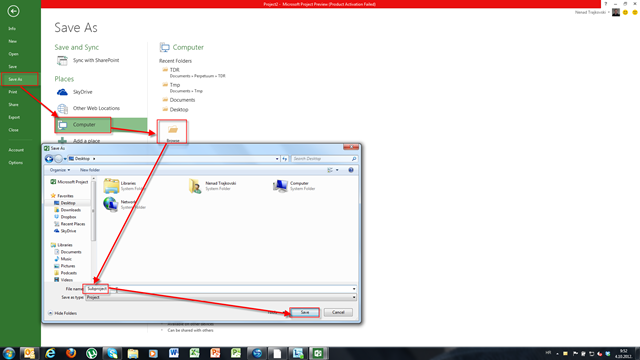 I will use MS PROJECT 2013, but it works in MS PROJECT 2010 in the same way. Let me show an example. John and Mary are duplicated, and that is not a Bug. Main Project and Subproject(s) are not sharing the same Resources if you will work with them as on example above. But, if you want to share Resource among Main Project, and Subprojects you should create the Resource pool! Why is it so important? 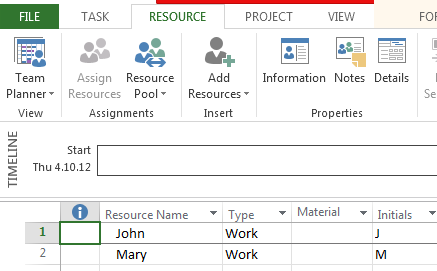 Because if John and Mary in Main Project are the same Persons from the Subproject(s), and you will not use the Resource Pool, you will miss the over allocation feature in MS PROJECT! 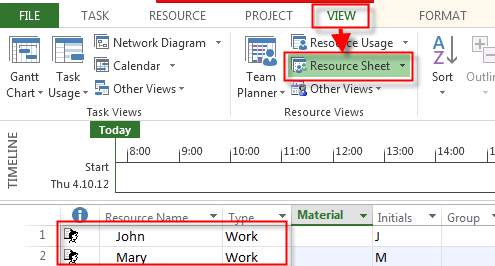 With Resource Pool there is only one John, and only one Mary, and if you assign them to multiple tasks which are going to run at the same time you will see the over allocation! 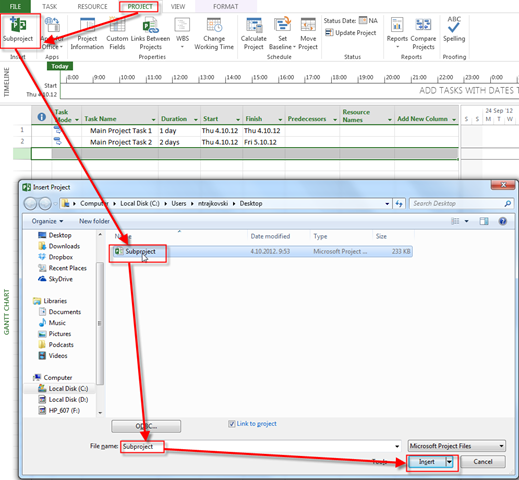 13 Responses to How to avoid duplicated Resources in Project with Subprojects in MS PROJECT 2013? Hi , Thank you for the details to create Resource pool. I have a doubt, if same resource is being used for multiple sub projects, how can I see his combined usage? I have a problem that I can´t seem to find a solution for. I´ve created a resource pool, a master project in which I have inserted sub projects into, and am now trying to share the resources. 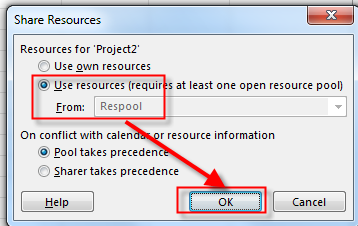 Problem is I don´t get the option to use resources from the resource pool inside the master project and subprojects, even though the resource pool is left opened. Do you have any idea of what can be causing this? Thanks! Hi Nenad, I am fairly new to MS Project. I have a master file, a resource pool and 20 subprojects. These files have been copied and stored in several locations and now I am being asked to ensure the Resource pool is the correct version. 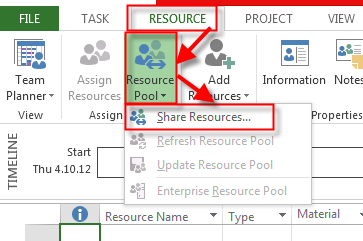 How can I check the shared resource is looking for the right resource pool file? I followed the entire steps. Created resource pool, allocated linked pools into subprojects and then inserted all subprojects into the main sheet. But, still it is not allowing me to use the ‘To-Do List’ feature. It doesn’t allow me to select a resource in the process, and hence, not generating the To-Do List for a particular resource, which was one of the main reasons why I did all this. I think taha to can’t get what you want via to-do list. What you can do is following my steps, and then from resource usage, or task usage view, copy fields which you need to excel, and then make adjustments to have a report you want! Hello Nenad, first of all thankyou for your post! I am facing this problem and I found no other link on the ENTIRE Internet, more exactly describing my problem. Now, I run 15 residential projects. My aim was to generate ‘To-Do Lists’ for every personnel who works in my office. Hence, in the master sheet, I imported sub projects (all of which were created way before and had resources already allocated) and found these resources duplicated in Resource sheet. Now when I go for generating ‘To-Do list’, it doesn’t allow me to select a particular resource and the selection box is empty. I read through your post and got the solution, but allocating all the resources to tasks of all sub projects again will take a LOT of time. Is there any other way in which I am able to remove duplication, generate To-Do report for a particular resource, and not taking so much time? Later on, I wish to level the common resources too. Hello, Nenad. First, I’d like to thank you by your posts. They are very helpful. Now, to my question. I have a central team coordinating and working in some local projects with local teams. I have one project file for each local project and one master file for them all, plus the central tasks. I have a pool for all resources, but is is getting crownded. I’d like to keep only the central team on the pool and have the local teams on each project file. I tried but each time I created a resource in the local file, it was also created in the pool. Do you know how to do it? Best regards. Is it possible to use one resource in same time period, if I want to allocate a resource 80% on task1 and 20% on the task2.